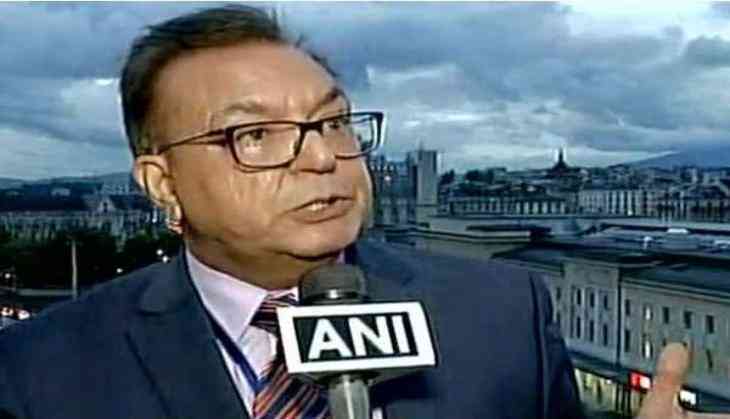 Exiled Chairman of United Kashmir People`s National Party (UKPNP) Sardar Shaukat Ali Kashmiri has described Pakistan's judiciary as a puzzle that at times defies understanding. Participating in a seminar hosted by the Birmingham chapter of the UKPNP that was focused on the China-Pakistan Economic Corridor ( CPEC ) here, Kashmiri said, "The judiciary of Pakistan has become a puzzle. When an army general comes to power through a coup illegally, the same judiciary system approves the martial law. Unfortunately it has happened in past and so many commission reports are still pending with the judiciary which I guess will never be disclosed " the Bolan Times quoted Kashmiri, as saying. Asserting that the judiciary is not independent in Pakistan, Kashmiri said that in the past some hidden forces had used the judiciary system to counter democracy and democratic parties. Speaking about the China Pakistan Economic Corridor, he said that not only Kashmiri people, but everyone else will oppose if some forces use the word development and loot the resources of the poor. He emphasized that neither Kashmiri nor anyone else is against development, but it should be for the betterment of the poor. "United Kashmir People National Party is a democratic party we always stand with democratic forces and democracy, We will continue our struggle legally and peacefully all around the globe in all forum," he said.